Velopalooza Bike Fun Festival starts June 5th & runs until the 22nd, featuring a variety of different group rides & other events. There's something in it for everyone: Pink Floyd fans can ride the seawall to the tunes of The Wall, nudists unite to ride through town during the World Naked Bike Ride, beer lovers can take part in the Bow Tie Brewery Tour, & much more. MEC Bike Fest is an all-day celebration of the bicycle. June 14th, between 10am & 3pm at Athlete's Village Plaza, you'll find workshops, free samples, gear & bikes to try out, deals at the MEC BikeSwap, plus guided bike rides, entertainment, food vendors, & kids' activities too. Car Free Day happens the day after BikeFest, on Sunday, June 15th. Large swaths of Main Street, Kitsilano, the West End, & Commercial Drive are closed to motorized traffic for a street party extraordinaire. You'll find entertainment & food vendors everywhere, lots of kids' activities, plus info tables from all kinds of non-profits & businesses around the city. Also, I'll be volunteering at the Modo table on Main Street around midday, so come say hi! 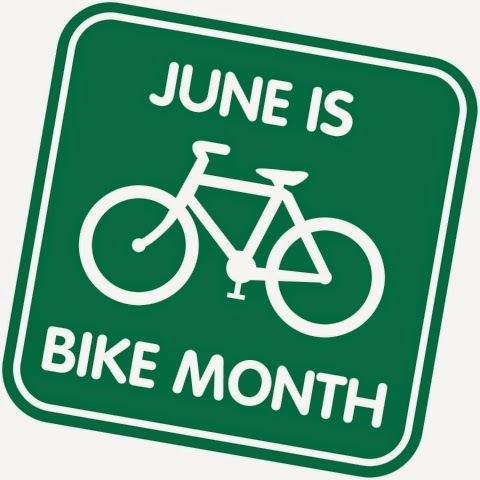 What are your favourite bike-related activities to do for Bike Month? Got any to add to my little list here?